These are my words for 2019. I figured they can be used for all aspects of life; child-rearing, the household, my planner, this blog, my brain (haha)... Less is more...less is more. Less things, less stuff, less on the calendar, less to saying yes, less stress, less pressure. I'm not sure if any of that made sense to any of you, but somehow it's been working for me and this crazy noggin' of mine... *shrugs shoulders* Ha! My first attempt at "simplifying" began immediately after Christmas. 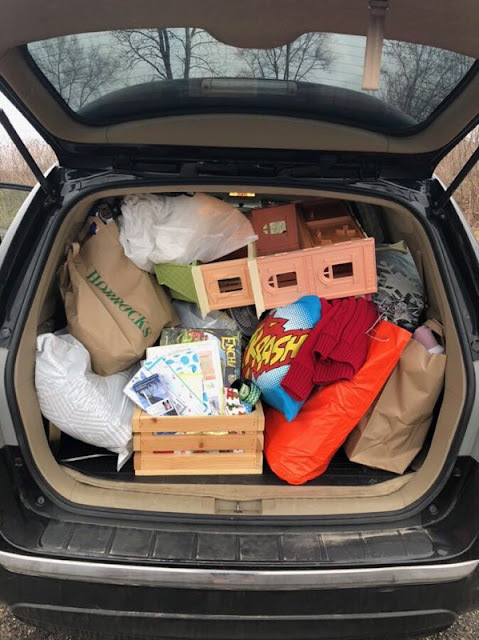 Not only have I thrown away - yes - THROWN AWAY about 8 FULL bags of trash, but I've also loaded up my car with two large loads of Goodwill donations and guess what - there's more piled up at my back door! 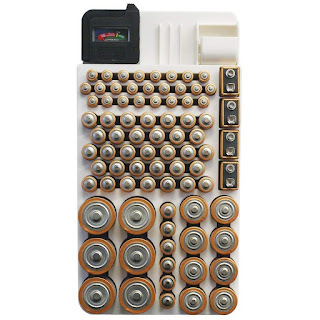 Batteries have been driving me crazy for years! I feel like we store batteries in three different places and then to make matters worse I just keep buying AAA batteries when what we really need are the AA ones. Gah! The next item that'll help me contain the crazy-mess-of-things-randomly-strewn-about is this gift wrap door and wall rack!!! I used to keep the majority of our gift-wrapping essentials in what is now becoming the nursery closet. I need a solution and I really, REALLY think this is it! 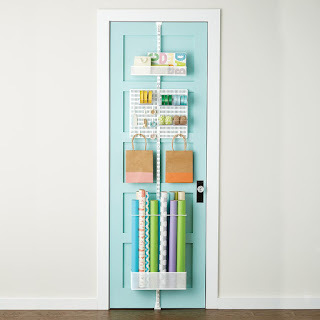 I've had my eye on this rack from The Container Store for a while now and what's better - it's on sale!!! WooHoo! Okay, so on to something I have purchased - this slim hamper. Our home is a 1970's ranch. Our washer and dryer are in the basement, our bathrooms are somewhat tiny (including the one we just remodeled) and our closet/linen space is almost non-existent. BUT - I'm determined to make this home work for us - we love it here and if simplifying is the answer, then so be it! We keep a hamper for the kids outside of their bathroom in the hallway, which over time, ultimately became our hamper. Jon and I would sometimes just throw our clothes from our room to the hamper in the hallway. Michael Jordans we are not. LOL! If at any time the clothes weren't swooshed into the kids' hamper then they'd usually end up in little piles either behind our bedroom door or in our master bathroom. There were too many little piles of clothes in all of these small spaces. 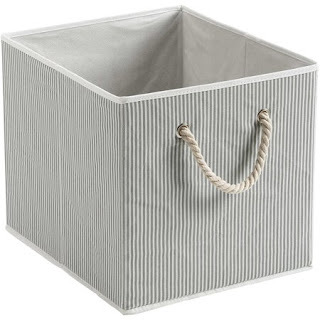 This hamper has been awesome and has completely fixed the "pile of clothes" issue! 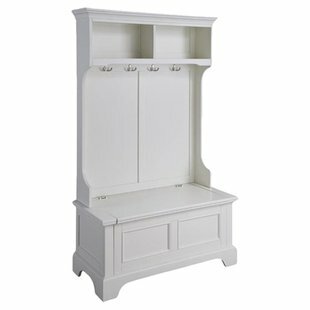 I highly recommend it for small bathrooms/bedroom/hallway spaces! Since going through the kids' toys I've decided to change out a few baskets. I found this one at Walmart and I love it. It's deep and it fits perfectly in our IKEA cube divider. 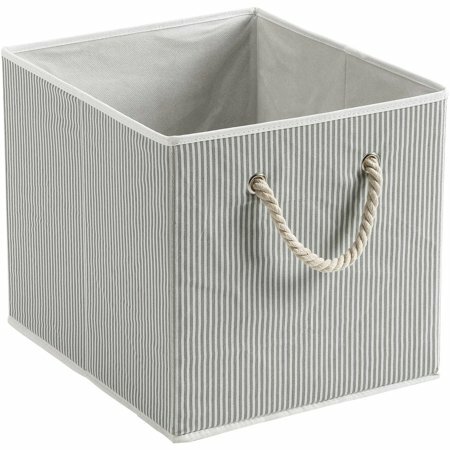 I've only purchased one so far, but I plan to continue simplifying and then I'll grab a few more so that what goes into these baskets serves a purpose. I purchased these totes when sorting all of the kids' school papers. All papers from school now stay nice and organized in one tote...all thanks to Lindsay over at Lindsay's Sweet World. This process has made the piles of papers so much more manageable and it actually works! These particular totes come in a package of five, but I can guarantee that you'll put every single one to work! We use our coat closet to store our broom, Swiffer Sweeper and vacuum. For the loooooongest time I just placed our broom and Swiffer up against the wall. The ole leaning up against the wall trick just wasn't working as the the Swiffer and broom would get lost behind the coats and/or fall to the ground. These are affordable and space-saving - I don't know where they've been all my life! Okay, so let's talk "bigger" and by bigger, I mean hall tree bigger! Our mudroom area is a wreck. It's a complete disaster and I'm currently in the process of talking Jon into purchasing one of these bad boys. I love this one because of all the hooks, the space for baskets to store mittens, hats, gloves and scarves in the winter and sunscreen, goggles, and mosquito spray in the summer. The bench seat would be essential for storing the wide range of shoes throughout the seasons. Come on, Jon! Vote Team Hall Tree! A couple of years back I purchased one of these organizers for the kids' crayons, glue, scissors, stapler, markers and pencils. It took me FOREVER to figure out how to store all of these items. 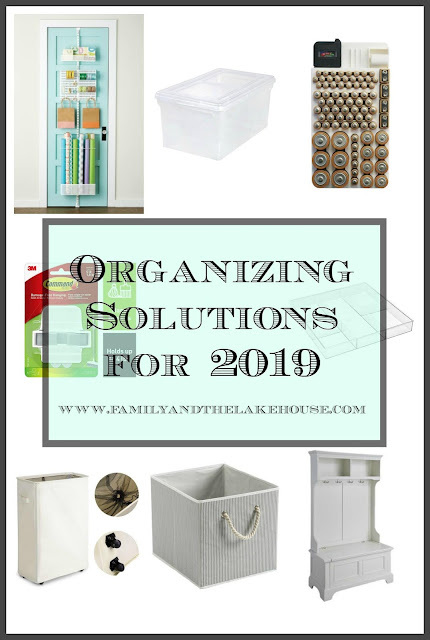 I finally came across this organizer and we've never turned back. It stays in a drawer in the kitchen next to the dining room table and it's easily accessible for little hands. There you have it. A bunch of ways Marie plans to simplify and maintain her way into 2019. What's an organizational tool/item you swear by? I'd love to hear about it! 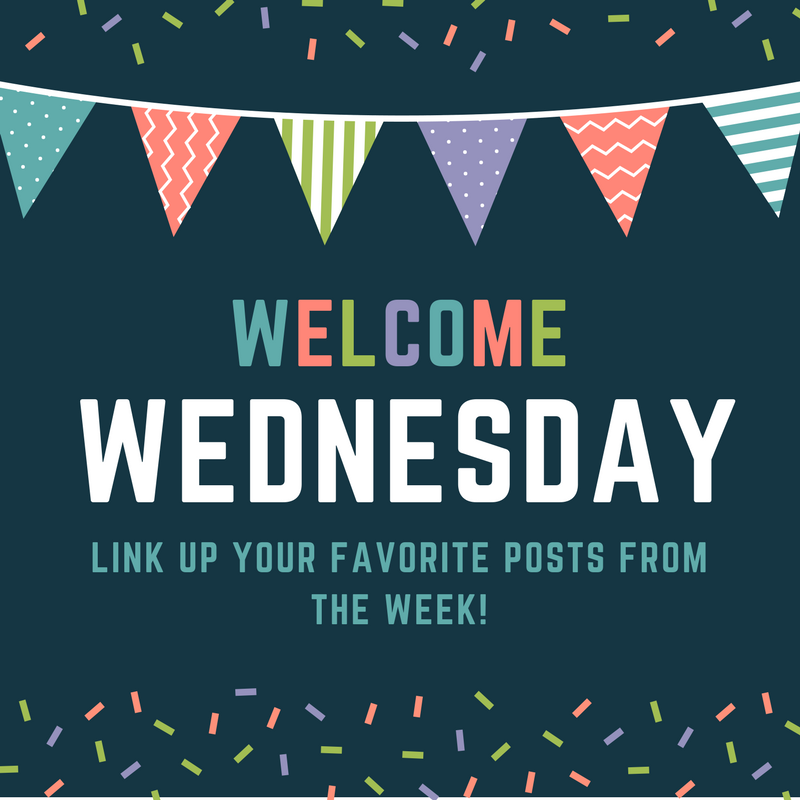 I'm linking up with Lindsay, Stefanie, Erin, Sarah, Jaclyn and Keri for Welcome Wednesday!